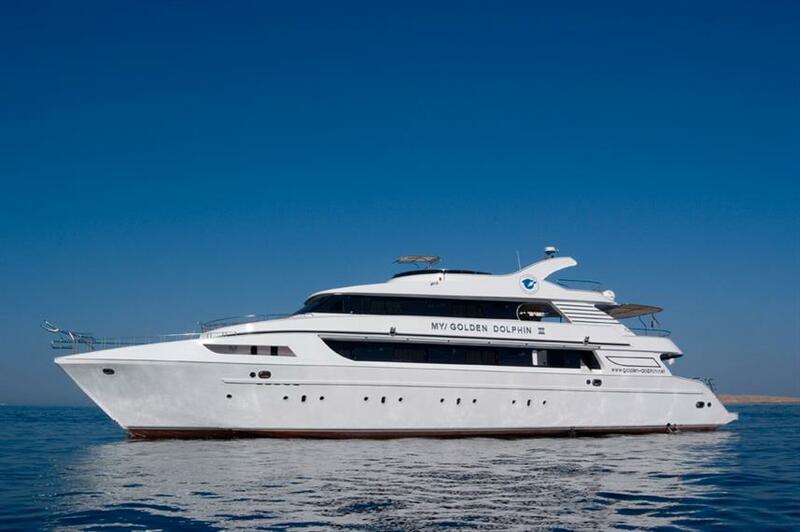 The newest addition to the Golden Dolphin liveaboard fleet, the MY Golden Dolphin III was built in 2008 with all divers needs in mind. 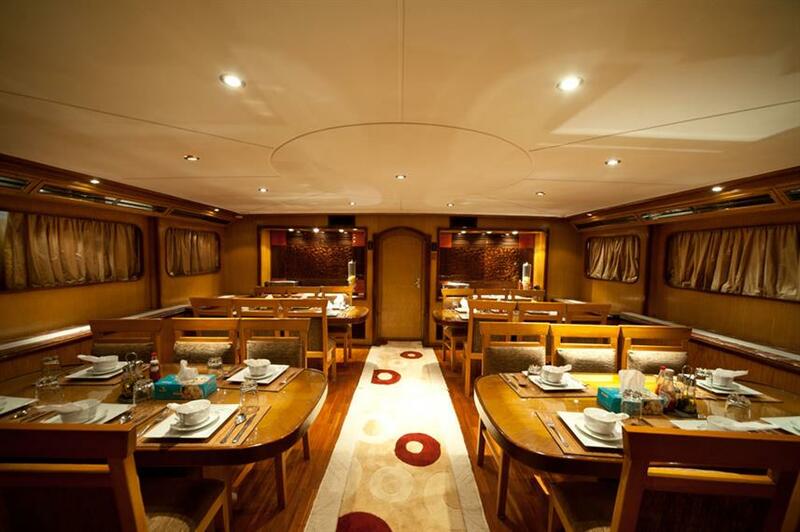 10 cabins cater to just 20 guests. 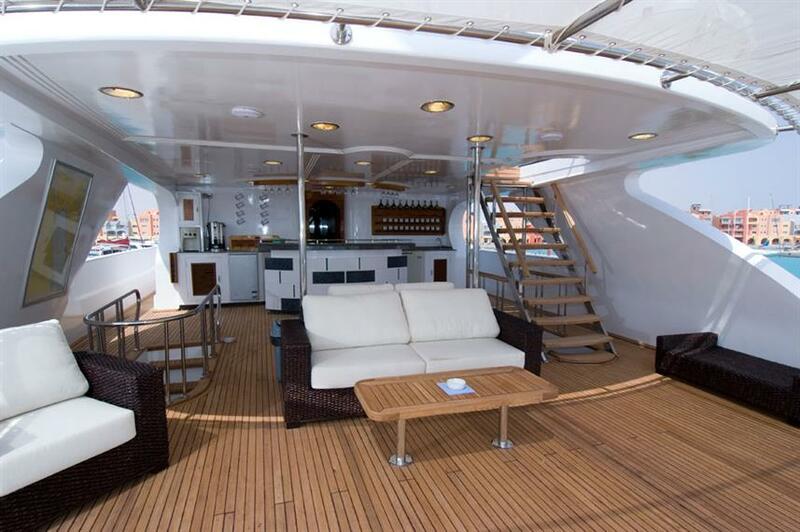 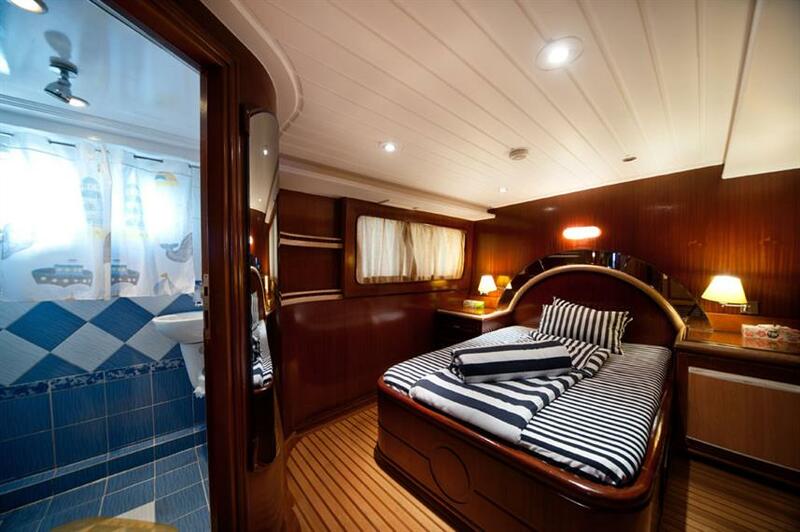 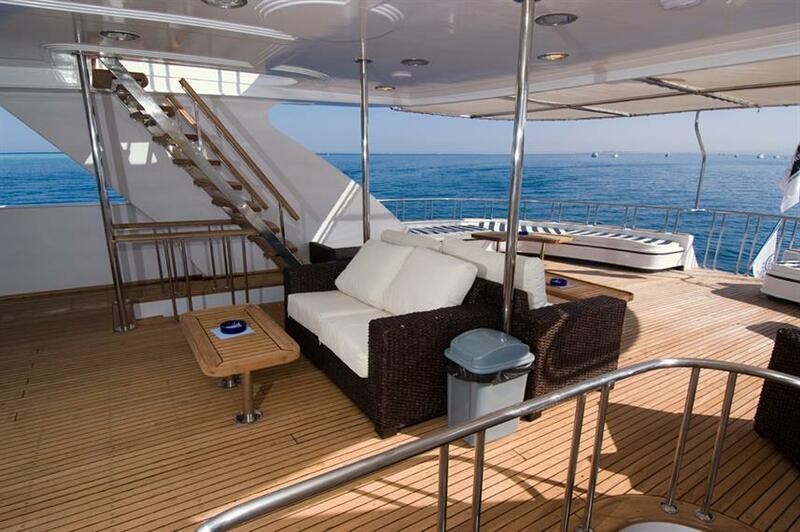 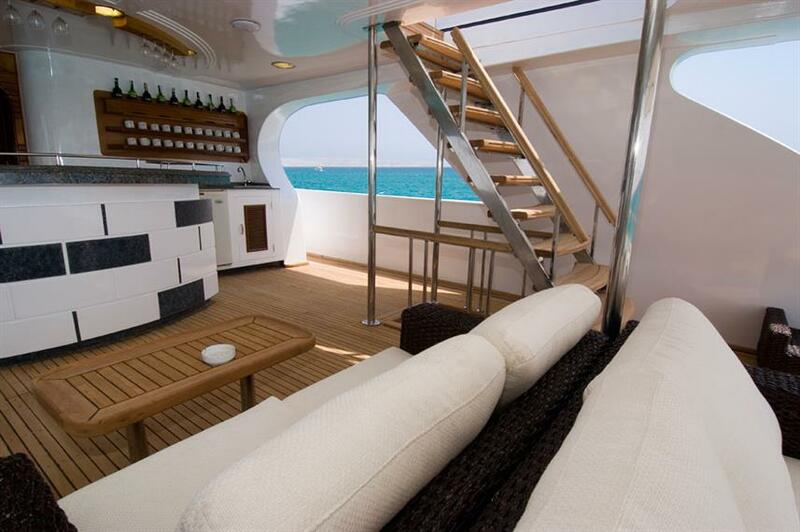 Each cabin features AC, private en-suite bathroom and mini bar. 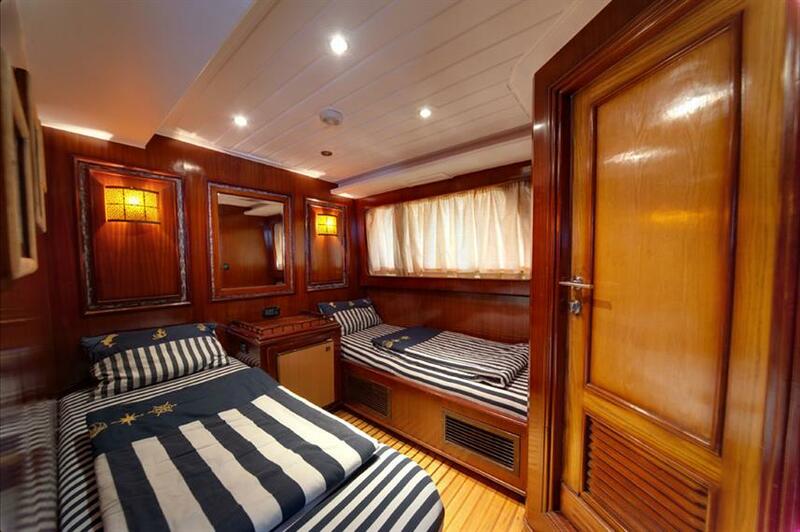 6 twin cabins are located on the main deck, and 2 twins on the upper deck along with 2 double cabins with king sized beds to offer more natural light from large windows. 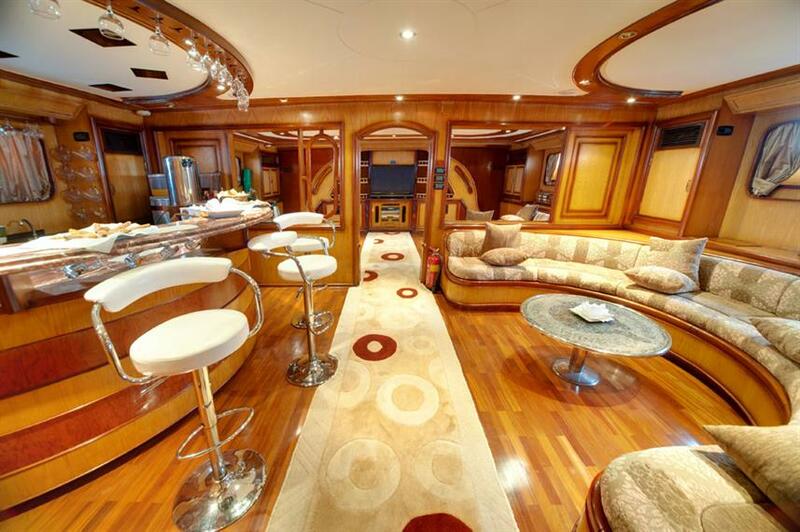 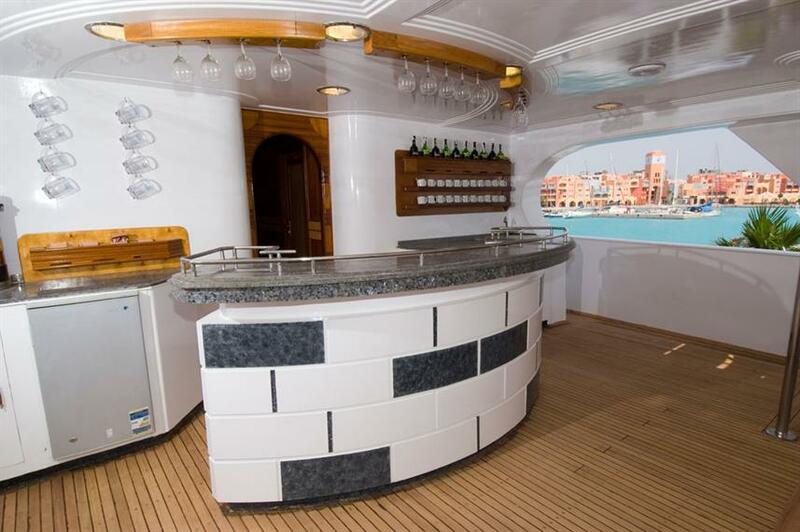 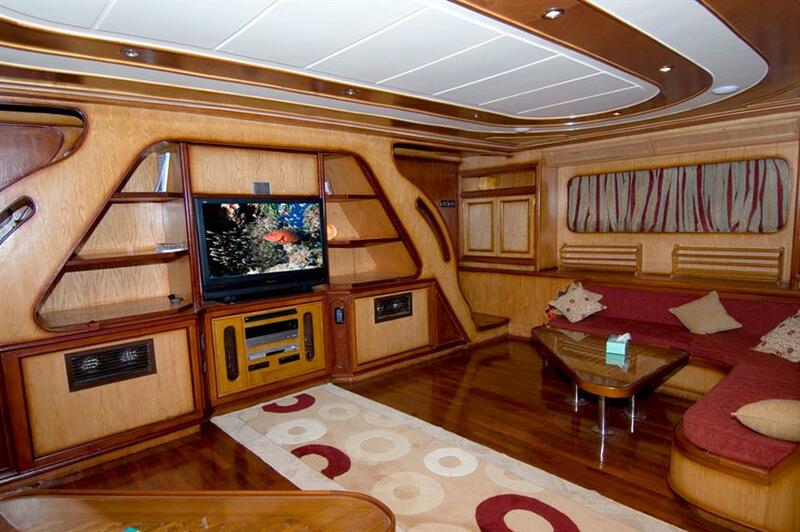 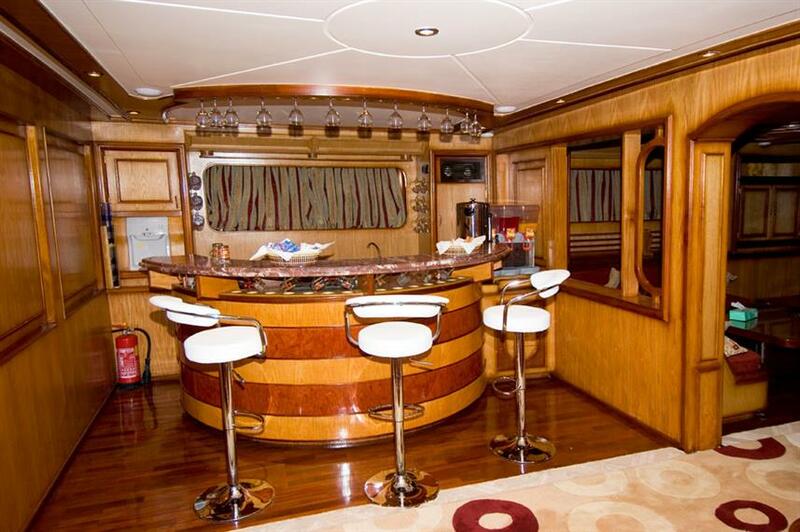 The spacious salon, spanning the whole of the lower deck, is air-conditioned with entertainment system, bar and drinks station and dining area. 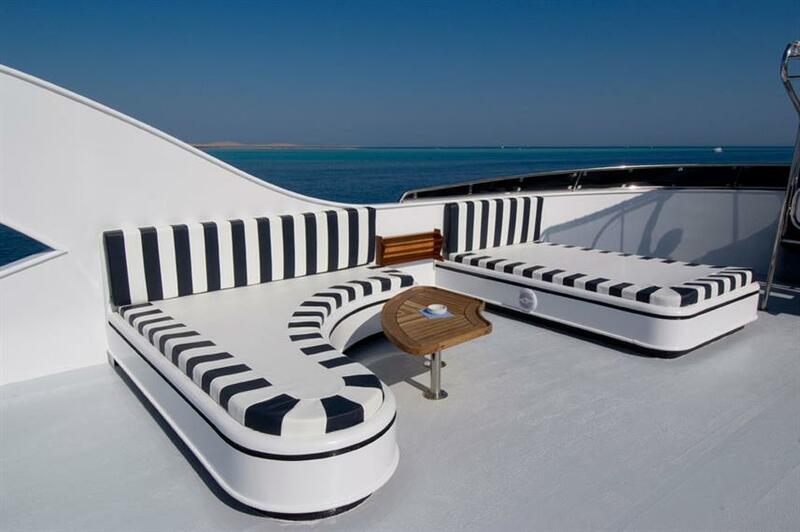 There is a second bar and shaded lounge located on the sun deck, offering the perfect place to relax at the end of a day of diving. 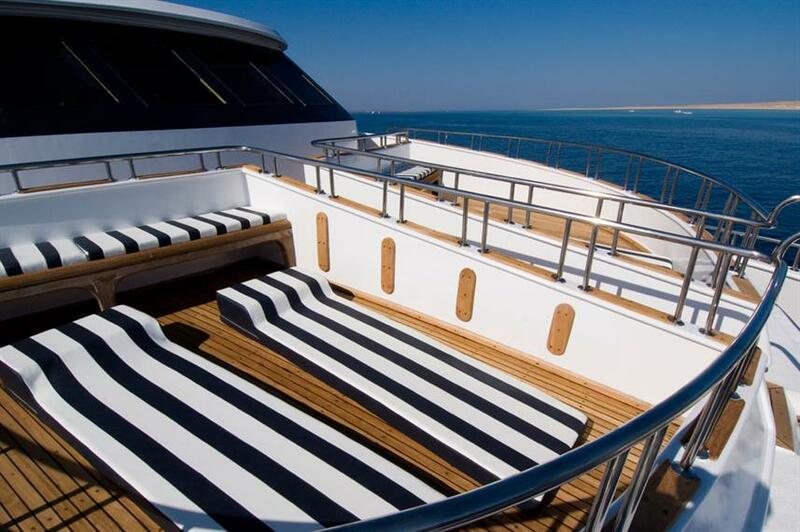 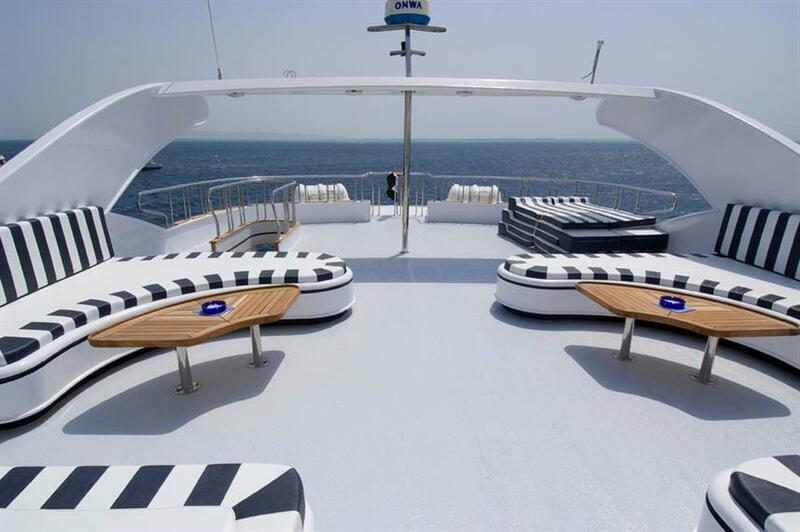 For sun lovers the sky deck has comfortable loungers. 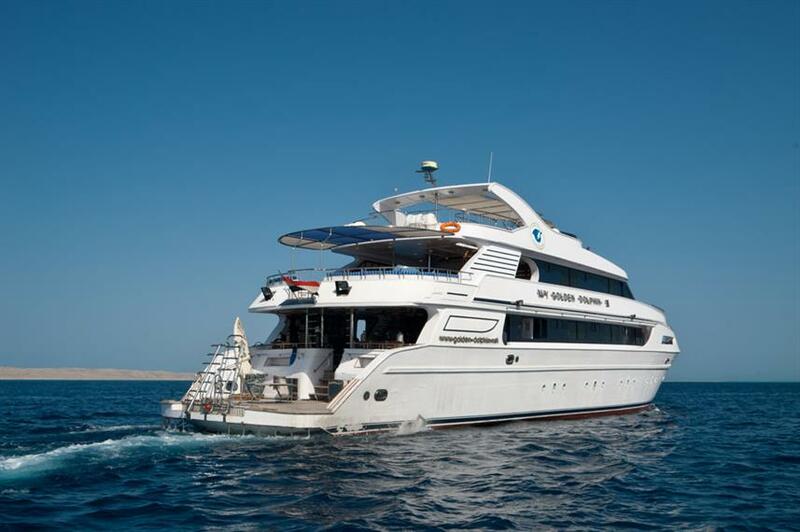 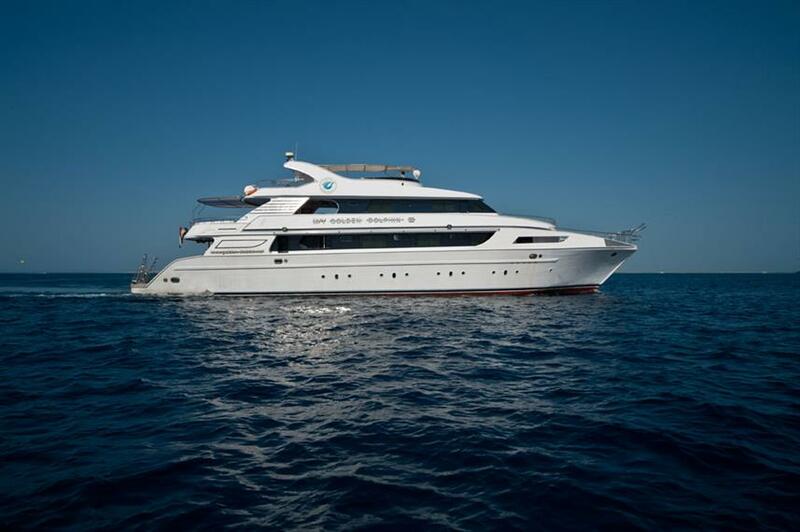 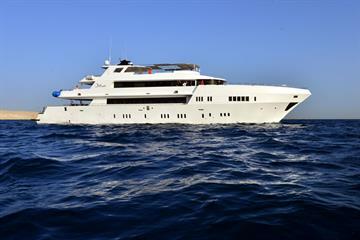 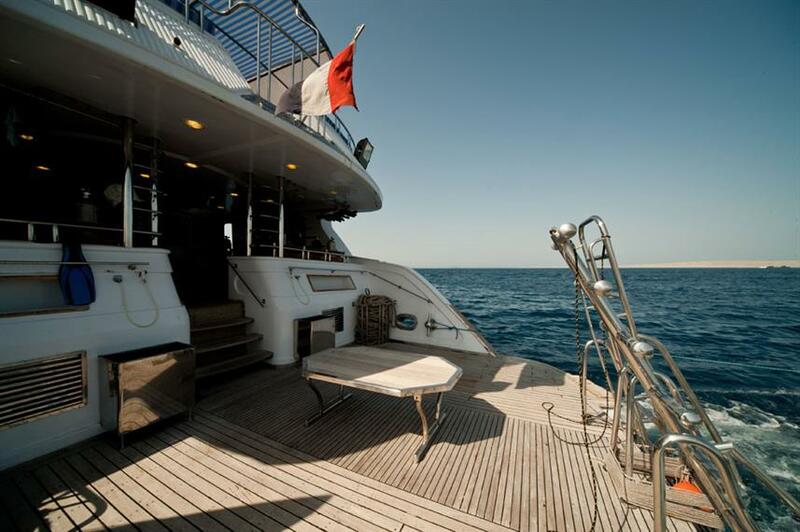 Golden Dolphin III liveaboard offers year-round dive trips that cover the best Egyptian Red Sea dive sites. 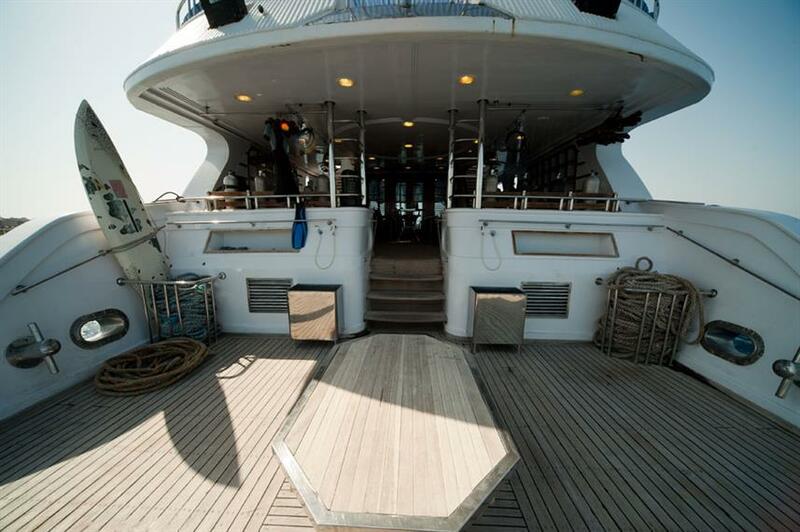 Explore the Northern Red Sea and famous wrecks like the SS Thistlegorm, the Dunraven and Abu Nuhas, to the deep south at St. Johns. 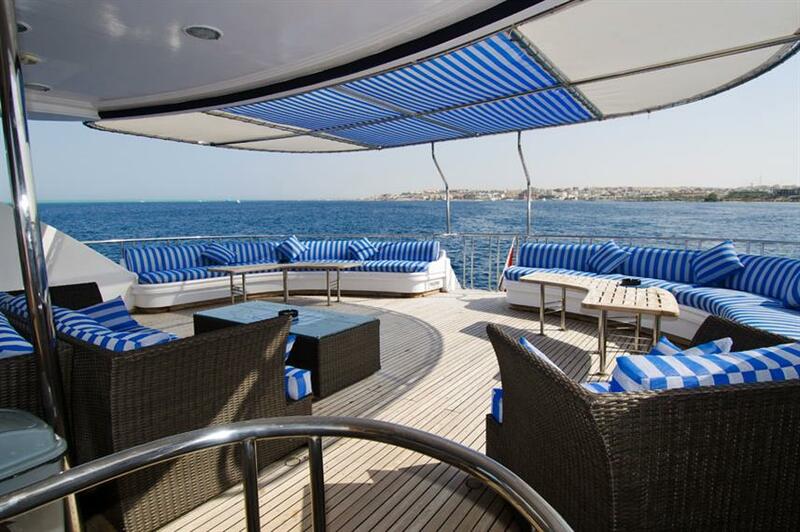 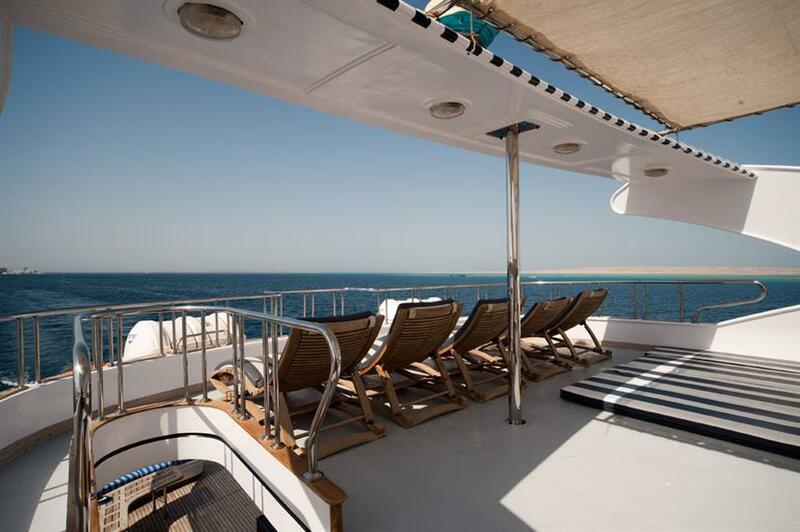 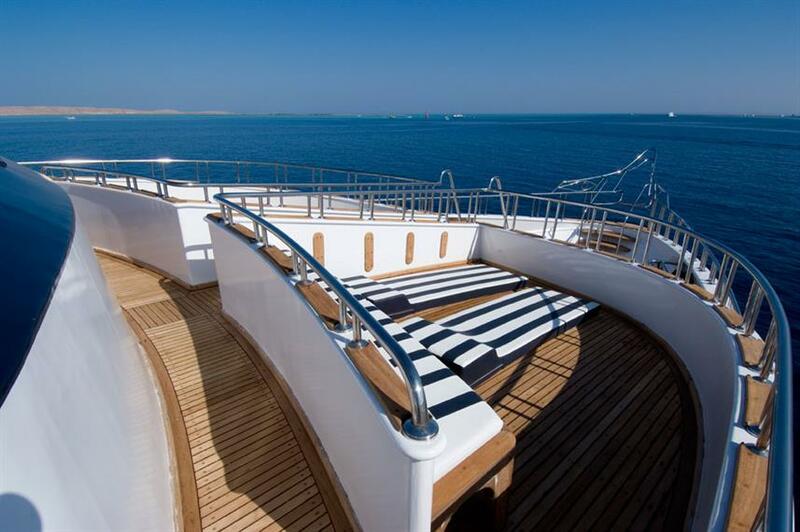 For those that can't get enough of the Red Sea extended 2-week trips are available. 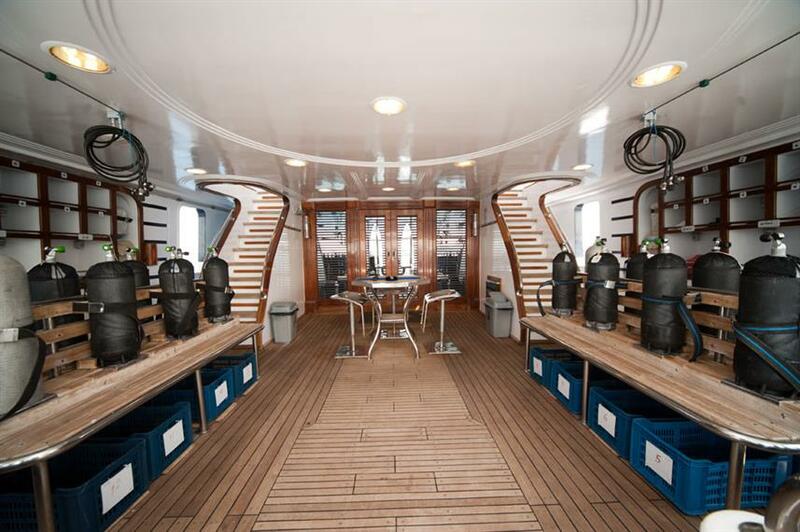 The spacious dive deck has individual gear storage areas, camera setup tables and rinse tanks and leads down to a large dive platform for easy entry and exit. 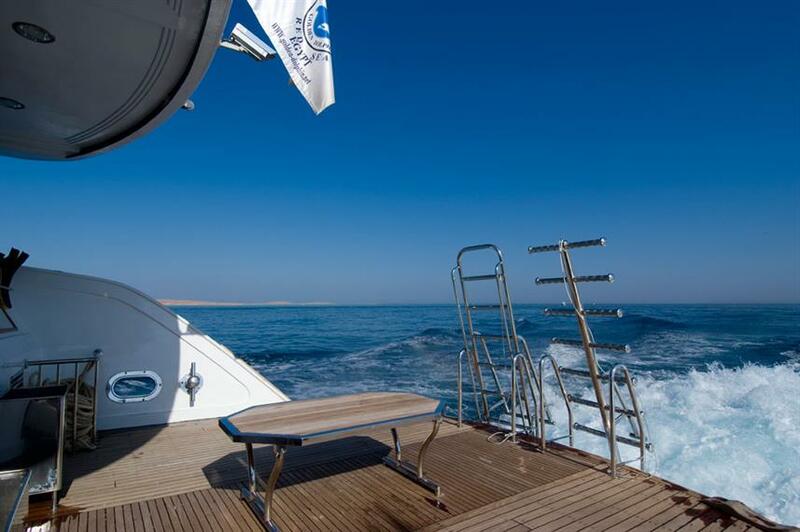 Free nitrox is available for those certified. 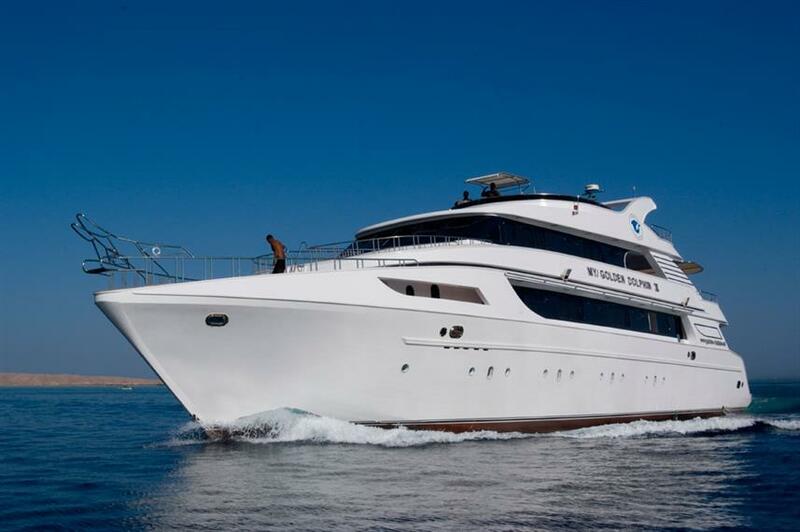 Exploring the Red Sea since 2003, and experienced and professional crew of the M/Y Golden Dolphin III liveaboard are on hand to help you create a memorable Red Sea diving safari. 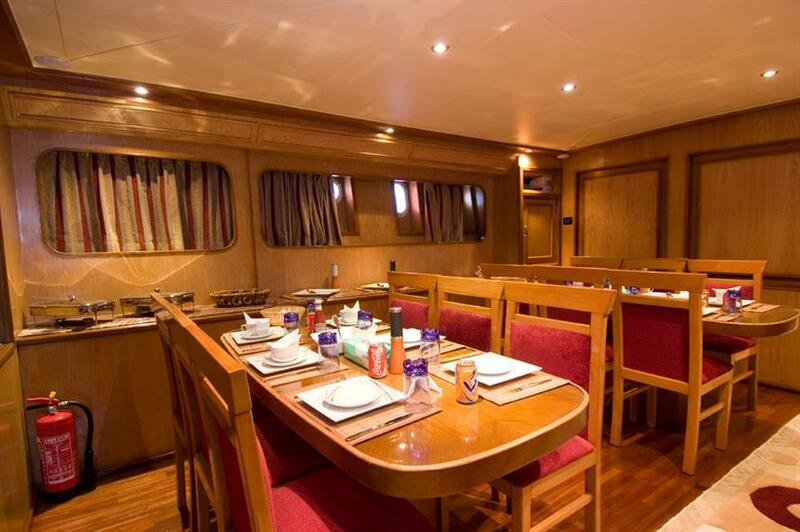 Book online or call us now to reserve your space. 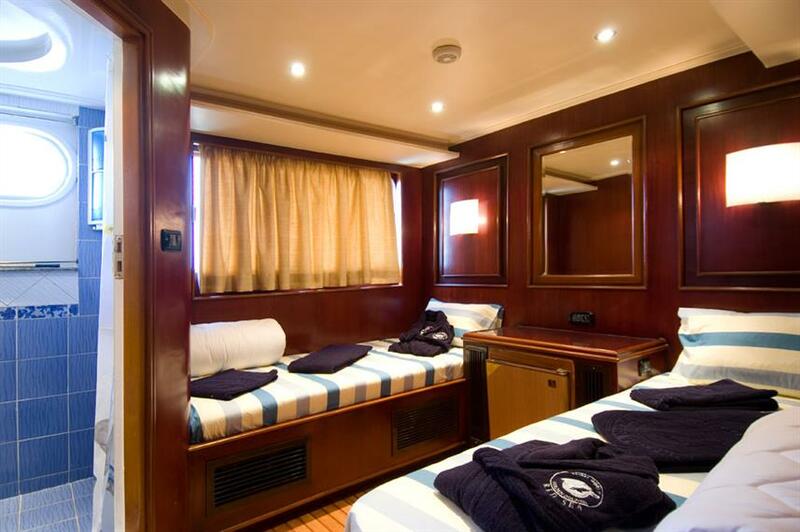 Included: VAT, Fuel Surcharge, Port Fees, Airport Transfer, Hotel Transfer, Drinking Water, Soft drinks, Tea & Coffee, Welcome Cocktails, Full-Board Meal Plan (All meals), Snacks, Diving Package, Cabin Towels, Complimentary Toiletries, Deck Towels, WiFi internet. 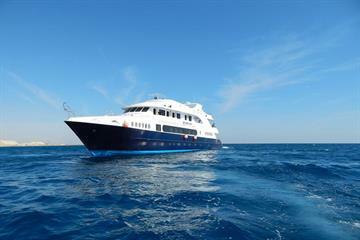 Required Extras: National Park Fees (100-200 EUR per trip). 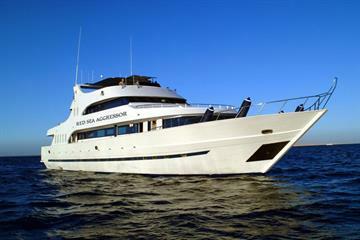 Optional Extras: Gratuities, Alcoholic Beverages, Nitrox Course, Private Dive Guide, Rental Gear, Scuba Diving Courses.